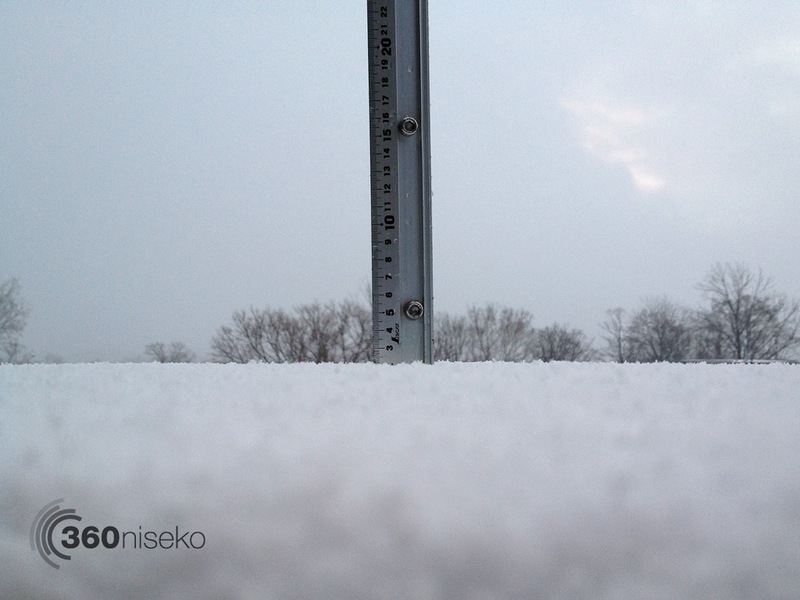 *2cm of fresh snow has fallen in the last 24hrs in Hirafu Village. At 7:10 today the temperature was 1°C. Snow is once again falling this morning with cold front moving into the region. Significant melting has occurred around Hirafu village and on the mountain after 24hrs of steady rainfall. Temperatures look set to continue dropping for the remainder of the week delivering lots of fresh snow…..powder turns can’t be far off!